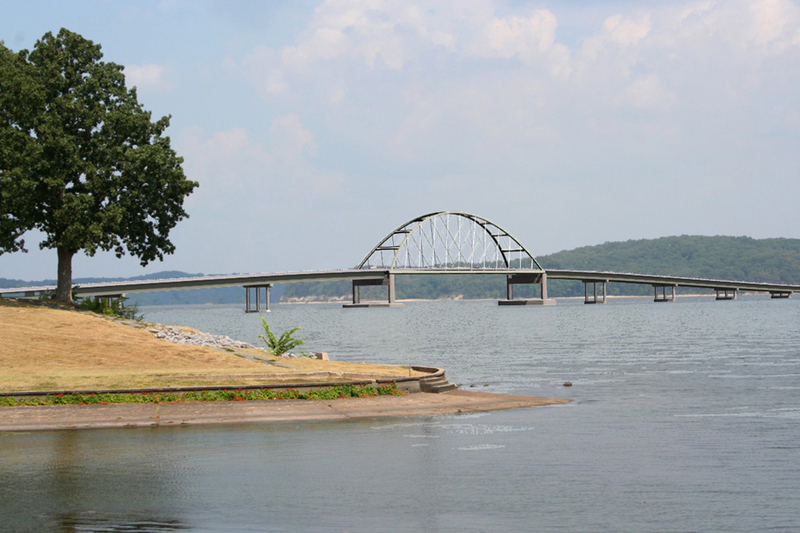 Palmer Engineering is the principal sub-consultant on the Michael Baker Team selected to provide Bridge Type Study and Final Design for the US 68/KY 80 bridges over Kentucky Lake and Lake Barkley and the roadway approaches to both bridges. US 68/KY 80 is important to the regional tourist industry and economy of the areas surrounding the lakes. The corridor passes through or adjacent to several major recreational areas, including Kenlake State Resort Park, the Land Between the Lakes National Recreation Area, and Lake Barkley State Resort Park. Due to the sensitivity of the area and the significance of the project, public involvement was a key component of the preliminary engineering and bridge type study process. Three public meetings and a project website were used to select the preferred structure type for the main navigation spans. A Citizens’ Advisory Committee of local officials and industry representatives from the lakes region also participated as advisors to the project team. An aesthetic basket-handle arch was chosen to replace the existing truss spans at each lake. In addition to structural engineering design services, Palmer Engineering was responsible for roadway design, surveying and mapping, preparation of permit applications, and ensuring all environmental commitments were met. Environmental commitments included development of interpretative signage concepts regarding the land between the lakes and the unique characteristics for the region. The project also includes design of shared-use paths to enhance fishing access to provide pedestrian and bicycle connectivity between the state resort parks and the LBL-NRA. Throughout the project, the team has maintained close coordination with numerous agencies including the TVA, US Army Corps of Engineers, US Coast Guard, US Forest Service, US Fish & Wildlife, FHWA, Kentucky Fish & Wildlife, Kenlake State Park, Lake Barkley State Park, Citizens’ Advisory Committee, and local civic groups interested in the project.